The powers of some foods to heal and nourish are so impressive and varied that these foods should be included in our weekly if not daily diets without exception. In recent years, modern science has uncovered so many remarkable qualities in turmeric in particular for the spice’s amazing potential to prevent and heal various health issues. Some research even shows how turmeric can boost oral health greatly, offering support for issues like gingivitis, mouth cancer, and much more. The health benefits of turmeric are amazing, with several studies connecting turmeric and oral cancer treatment and prevention. One of the more recent studies indicates turmeric can reverse precancerous changes in the mouth. As GreenMedInfo reports, there are also more than a dozen studies linking it to oral cancer cell death. Recently, researchers revealed that nanoparticles loaded with turmeric extract could actually kill oral cancer cells that had proven resistant to chemotherapy treatment. Though turmeric is most commonly thought of as a curry spice, it’s versatile and can be added to anything from fish and eggs to smoothies and salads. Further research indicates the more time turmeric spends in your mouth, the healthier that mouth might be. Last year, in the Journal of Indian Society of Periodontology, a study showed that turmeric could be as, if not more, effective as a traditional mouthwash in the treatment of gingivitis. Gingivitis is a periodontal disease characterized by bad breath, bleeding, and inflamed gums. Left untreated it can lead to more destructive periodontal disease. Generally, mouthwashes using chlorexidine are used to treat this condition. And while complications involving this compound are rare, they can include anaphylactic reactions. The study had subjects rinse their mouths twice daily with either a 0.1% curcumin (turmeric) extract mouthwash or a traditional mouthwash solution using 0.2% chlorexidine. Despite the chlorexidine solution being twice as concentrated as the turmeric solution, the turmeric solution outperformed the traditional mouthwash in all three measurements. The turmeric reduced plaque, gingivitis symptoms, and bacterial activity at rates greater than the traditional mouthwash. Despite this, the researchers, “in the characteristically conservative style of academia”, suggested turmeric mouthwash had “comparable anti-plaque, anti-inflammatory, and anti-microbial properties” as the traditional chlorexidine mouthwash. Although the researchers didn’t come out and say turmeric was more effective than the traditional mouthwash, their numbers spoke for them. Plus, when you consider all of the health benefits of this brightly hued root, the benefits of such a mouthwash could be multiplied when you swallow it after your rinse! I would think,and depending on the situation or severity of mouth problem(s),that swallowing the turmeric after rinsing with it would generally not be a good idea. For one,any poisonous(for lack of a better term on my part)substance dislodged by said rinsing would not be beneficial to swallow along with the rinse. One may want to consider just using the turmeric as a rinse,spitting it out afterwards, and adding the herb to ones diet on foods and or in teas. This. If you are rinsing and swishing with it and getting all that free bacteria emulsified in the water you definitely don’t want it in your body. You want it out forthwith so it can’t colonize or septicize some other part of your body. That said I brush my teeth with turmeric and it whitens greatly and is much ebtter than any other manufactured toothpaste. 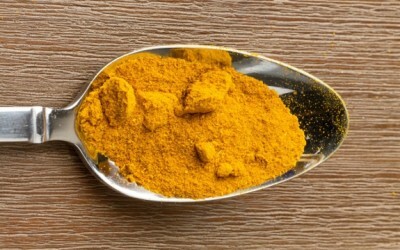 How can I consume more turmeric? should I just sprinkle some over foods like rice ect. Hey there Veronica! You can spinkle it on fresh veggies or chicken/fish before cooking! I have been using it on EVERYTHING, up to 4 times a day, haha it’s the best! Yes, you can sprinkle it over rice and pastas and so on. It works WONDERS. In the past few years I’ve had pain from running and turmeric has helped my joints tremendously! You an try it with honey, I love mixing a chamomile tea with some turmeric and agave nectar. YUM! I would encourage you to use it; spread the word so more out there can learn about this amazing powder! Also, learned two ‘secrets’ about turmeric. First, consume with a fat or oil. Or premix with a fat or oil before adding to food, e.g., coconut oil. Second, add pepper if possible to the mix. The bioperine in pepper is a digestive for turmeric. This synergistic combination, along with the turmeric, should lead to optimal assimilation. I’m sure these are not exactly secrets in India! will turmeric stain your teeth if you rinse with it.?????? I drink a small glass of water with a teaspoon of turmeric powder everyday but brush my teeth afterward because I worried it would stain my teeth. Maybe I shouldn’t be brushing with what this article says.?????? Sorry, I just got my answer by reading some of the comments posted by others on the fb post. And what is that answer, if you please? I actually use turmeric to whiten my teeth. It will stain a toothbrush, clothing, or anything else it comes in contact with so use a special toothbrush. I don’t know if everyone gets the benefit of feeling like their teeth are cleaner, but it works better for me than any store bought toothpaste. I just mix a bit of organic turmeric and organic coconut oil. Thanks so much! This is fantastic news. Turmeric is one plant of the Ginger Family and other Thai herbs we are successfully applying for treatment of various Pain issues, range of motion, other. Luk Pra Kop a combination of anti Pain anti Inflammatory treatments has been used in Thailand for Centuries. After a few treatments generally improvement and reversal of condition is realized. don’t tell that to any dentists!!! thanks for your piece! !